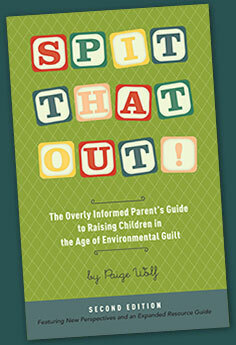 I finished reading Paige Wolf's, Spit That Out! : The Overly Informed Parent's Guide to Raising Children in the Age of Environmental Guilt, over the weekend and I highly recommend checking it out. Spit That Out! 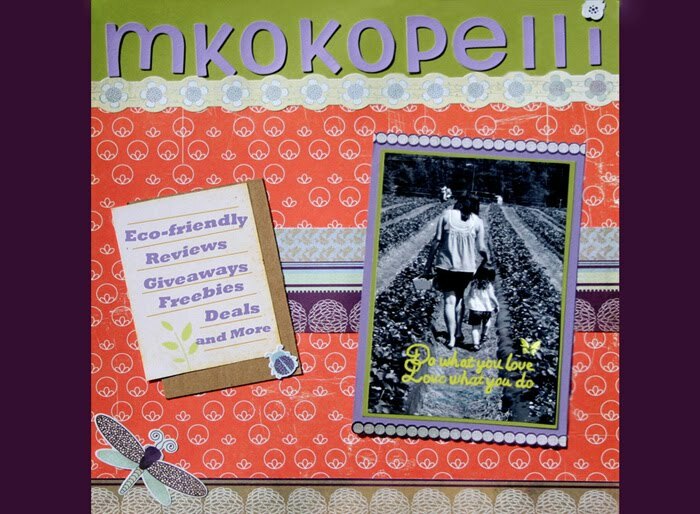 did an amazing job of informing the reader about the dangers of certain products while incorporating facts, personal stories, humor, and other eco-moms point of views, all while making you feel less overwhelmed about the decisions you are making. "Natural does not equal safe. Remember, tobacco and cocaine are essentially just plants. Think of concentrated oils like tequila. You know what happened the last time you drank that straight. Follow the instructions for dilution." I really love the humor integrated with the facts. The less in your face method seems much more appealing rather than the cramming it down your throat method. It's great how Paige allows the reader to make their own decisions while presenting all of the facts so no parent will feel obligated to change their whole world. Though, her backed up facts and personal stories will make any beginner want to change certain aspects of their life asap! I also love how the book teaches you so much without you ever knowing you are learning something. Sometimes when you read a green parenting book you feel like you need a chemistry degree to understand half of it. Science was never my strong suit, but after 3 years of research, I'm starting to catch on. But for new parents who barely have the time to bathe let alone read a book, Spit That Out! is the perfect easy read. It is 140 pages of conversations with friends who understand you want a happy healthy baby. I highly recommend Spit That Out! as a baby shower gift, for new parents, or for the stressed out eco mom who needs reassurance she is doing the best that she can. You can get Spit That Out! online at Amazon for $13.95.